A jury of 20 international experts formed by the coaches of the competing teams has evaluated the achievements, under the chairmanship of Christian Beduschi, one of the best Italian pastry chefs. Each team had to make three specialties: single– portion ice cream, chocolate (or praline) and modern cake, as well as three real sculptures, one in pastillage, (malleable sugar paste), one in isomalt and one in chocolate. 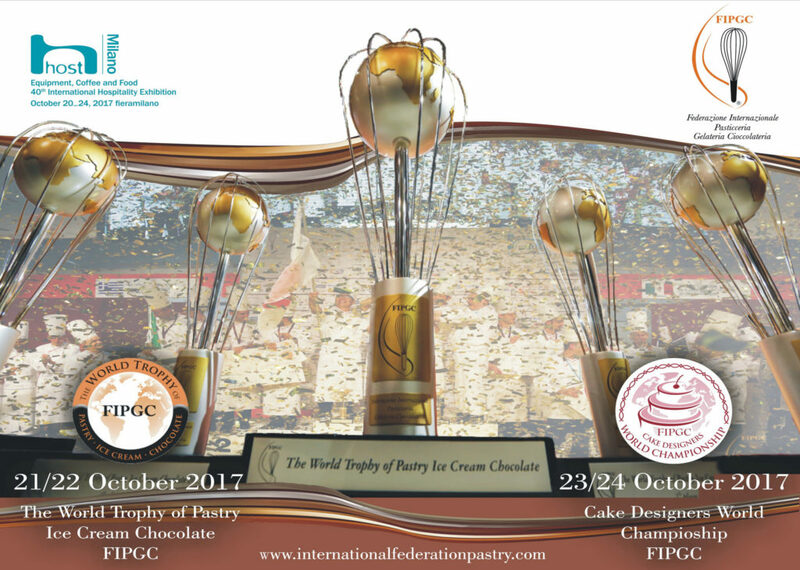 The Italian team, formed by Matteo Cutolo, Giuseppe Russi and Enrico Casarano, has created three exceptional sculptures, which represented in a very original way the theme of the World Trophy, which was “Discovering the World of Chocolate and Coffee”. The chocolate sculpture celebrated the origin and strength of cocoa, represented by a Maya mask, which is associated with the mill for the processing of beans. The sculpture in pastillage, dedicated to coffee, interpreted in the most classic Italian way of this raw material, with the traditional grinder, the moka and the coffee table, and a processing that instead wants to convey the element of femininity. Finally, the sculpture of isomalt represents the meeting between the two elements, through a real kiss between coffee and chocolate. for the best “Modern Cake”.The “Pastry Magazine” journalistic award was assigned to Morocco.